Wollondilly Shire Council in NSW has given the thumbs up for a new experimental RV-friendly site. 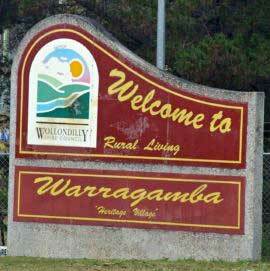 Travellers will be able to roll into Warragamba to stay the night opposite the Boomerang Shelter at the Warragamba Recreation Reserve. Self-contained caravans, motorhomes and campervans can be parked for free for a maximum of two nights. The council allocated $35,000 from the budget for the project. General manager Luke Johnson said it was "another great step" for tourism in Wollondilly. The welcome RV-friendly site will be ready for this summer holiday season, with signage, an automatic boom gate, linemarking and waste bins being put in place. Travellers will be able to use the reserve's existing RV dump point. The boom gate will be open during daylight hours and overnight visitors will gain access to the site by contacting council's after-hours service. This will record the visitor's details and provide a pin code for entry through the boom gate. "This RV-friendly initiative is a 12-month trial that will help inform a shire-wide RV friendly strategy," the council said in a statement. "It aims to provide additional tourism opportunities in Warragamba and help to strengthen the local economy by giving visitors the option of free overnight accommodation."